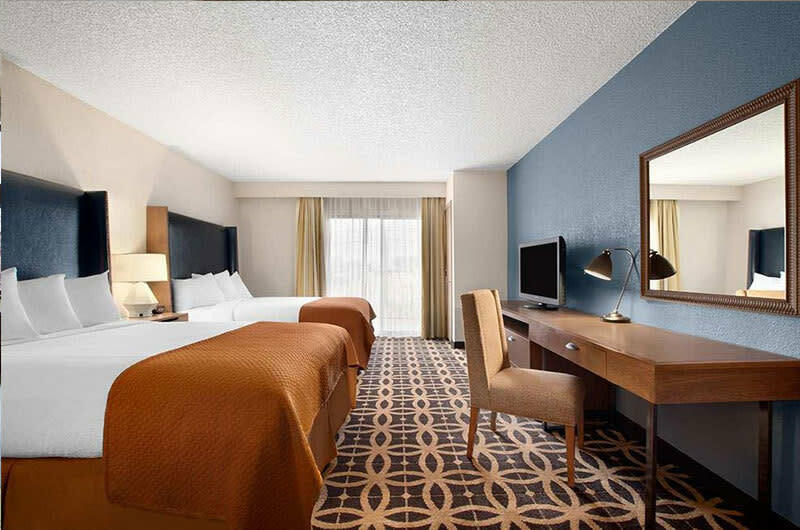 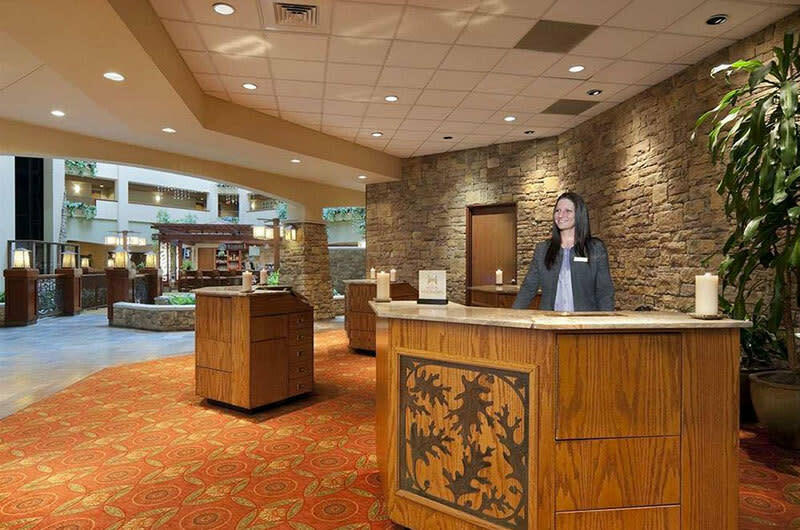 Centrally located in the D/FW Metroplex, the Embassy Suites DFW Airport South is 15 minutes from downtown Dallas and Fort Worth and just five minutes from Las Colinas. Located on the southeast corner of Highway 183 and Valley View Lane, the hotel offers easy access to I-30 and LBJ (635) Freeway. 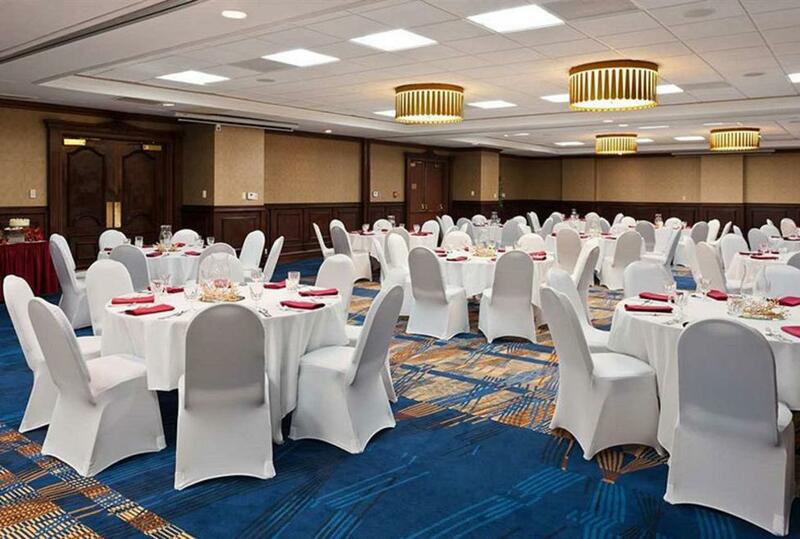 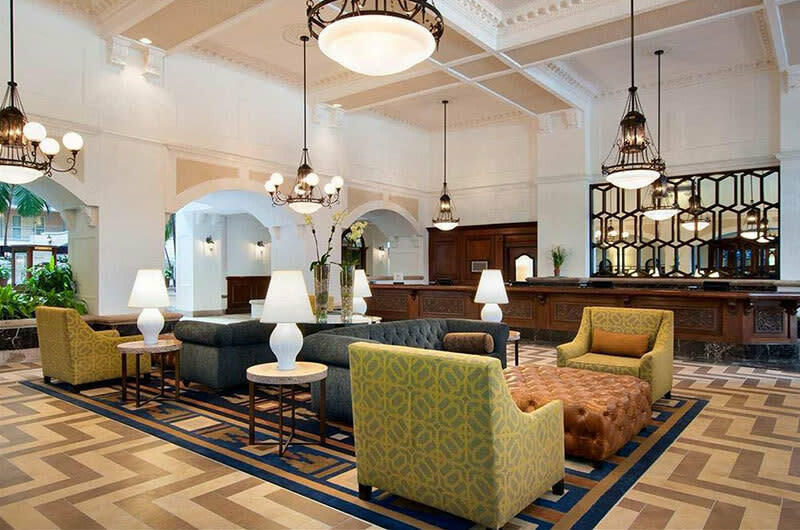 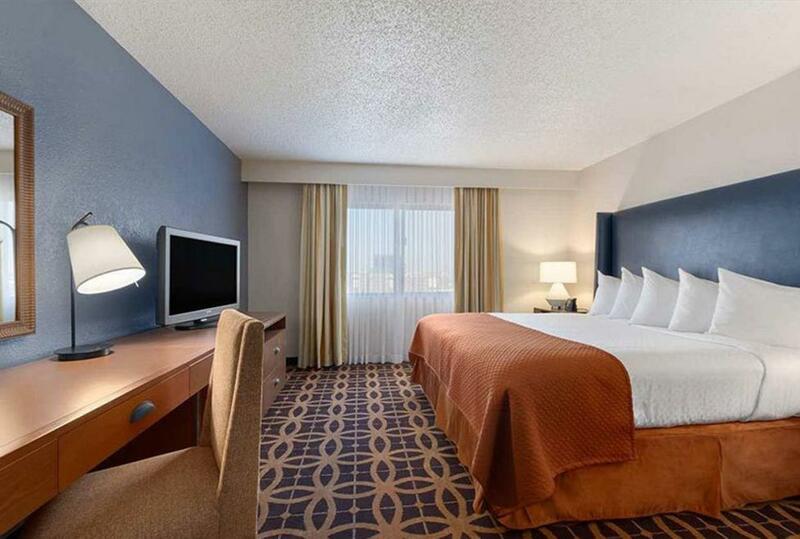 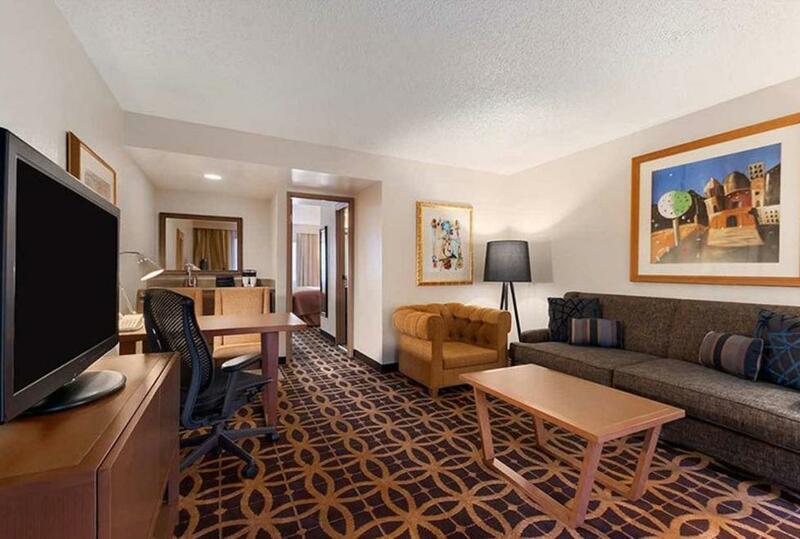 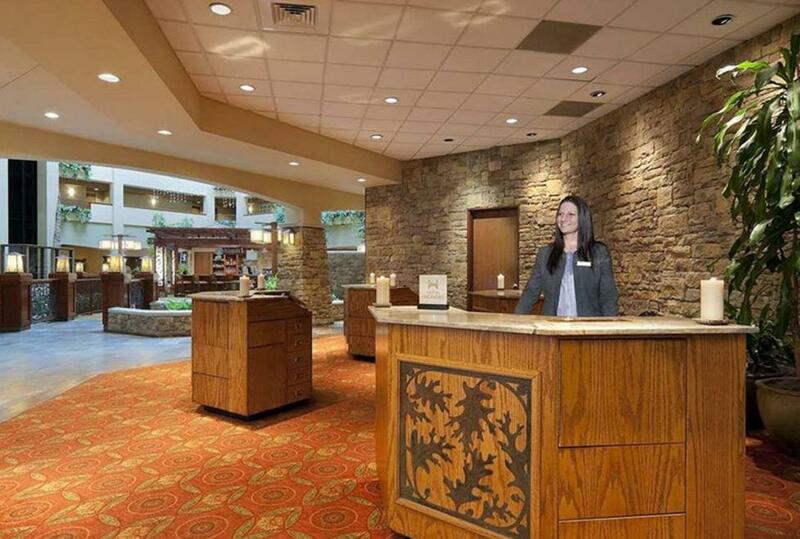 With complimentary transportation to and from DFW International Airport and scheduled transportation from 5 a.m. until midnight to and from local businesses, this hotel is great for the busy traveler. 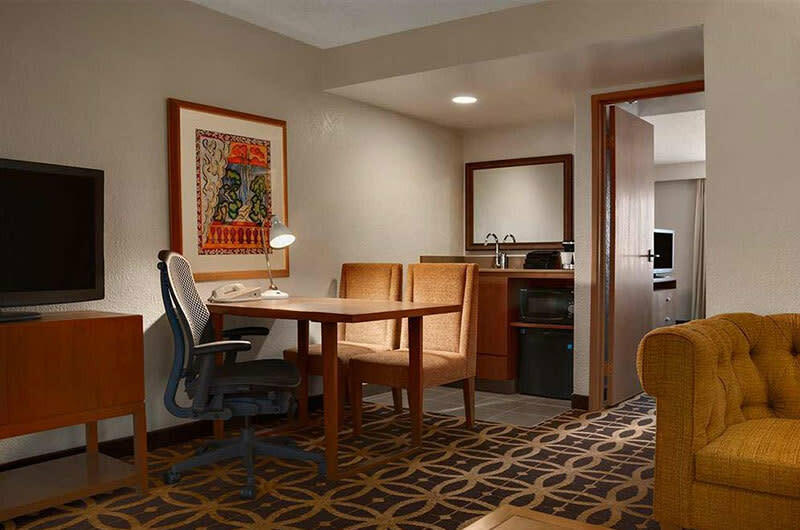 This upscale Mediterranean-style hotel offers suites that include a private bedroom with separate vanity and one king-size or two double beds, plus a separate living area with sofa sleeper and well-lit dining/work table. 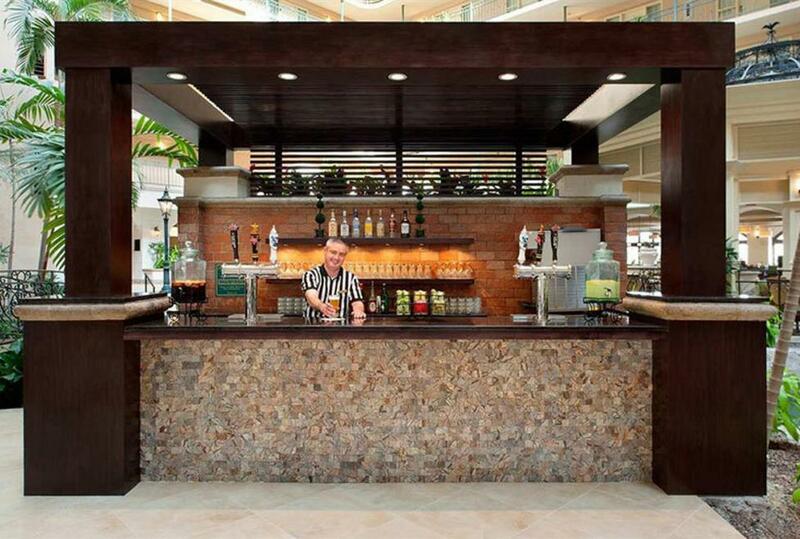 The galley kitchen offers a wet bar, refrigerator, microwave and coffeemaker with coffee supplied daily. Living and bedroom areas are equipped with dual-line T1 telephones, voice mail and modem capabilities. 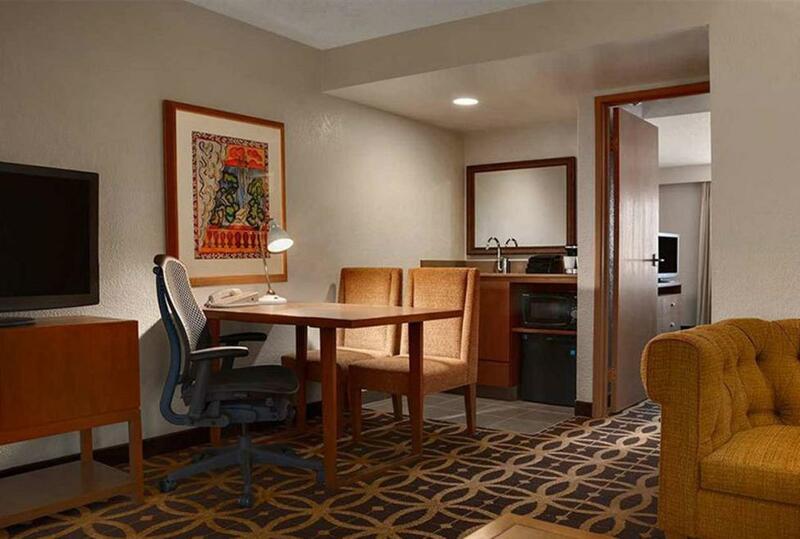 Remote-control televisions with cable, hair dryers and ironing boards with irons are in each suite. 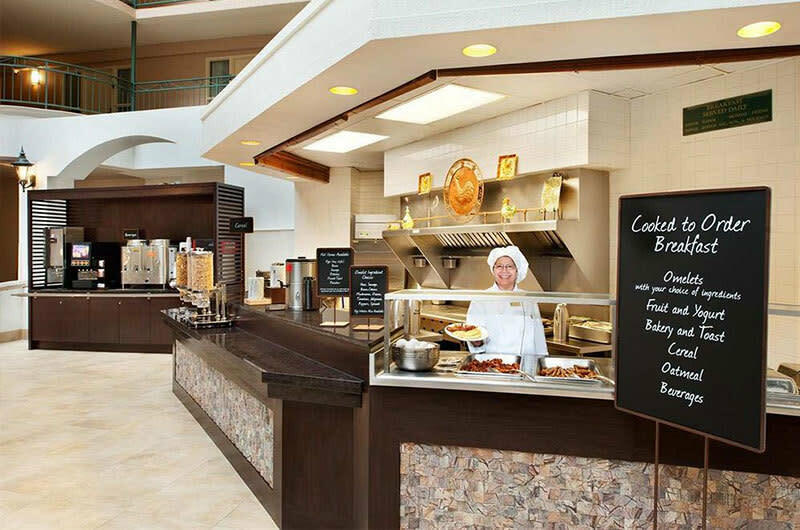 Complimentary breakfast is available at The Atrium Cafe, featuring an express buffet including a full range of hot and cold breakfast items. 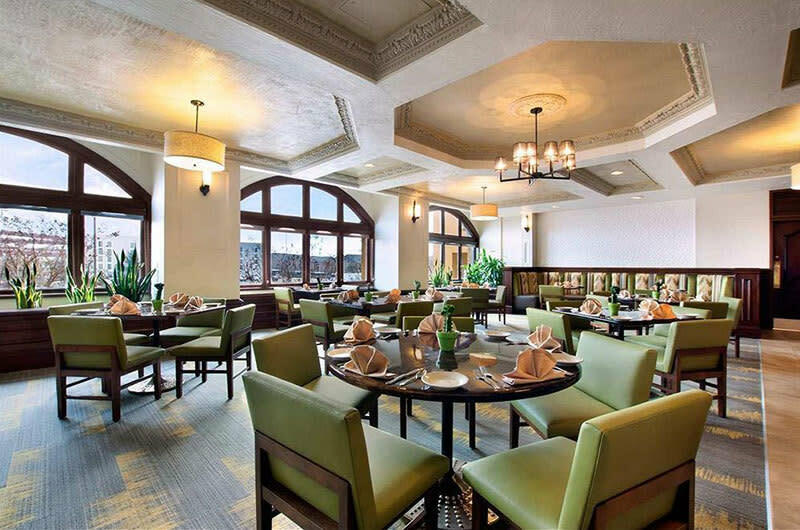 Lunch and dinner are served at Capistrano's Café, featuring pasta, steaks and seafood. 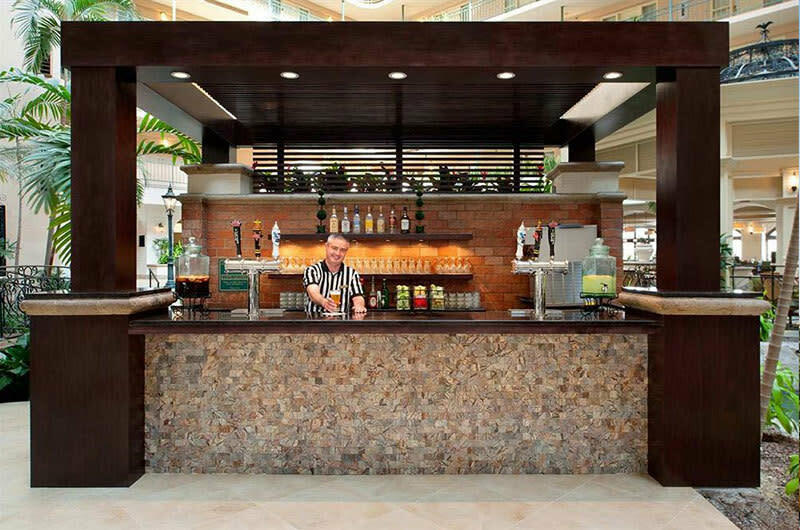 Cocktails are served in the Lynx Lounge, a relaxing, upscale gathering spot. 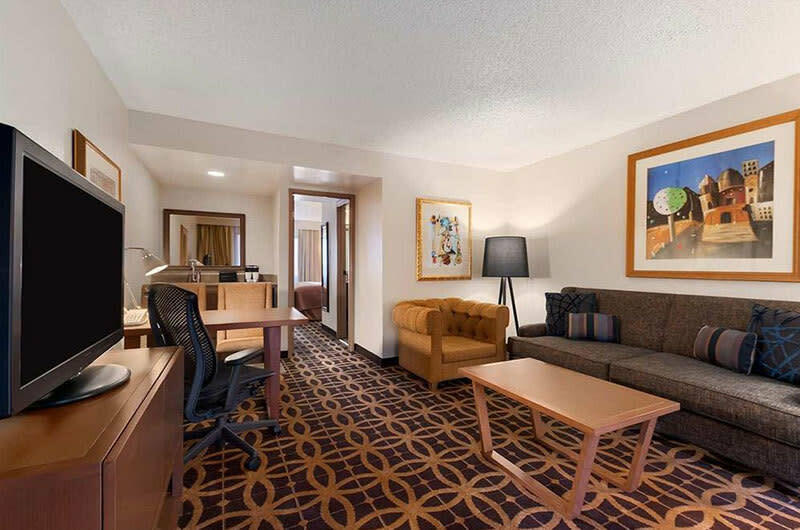 A complimentary morning newspaper; free parking; express check-in and check-out; same-day valet service; guest laundry; and room service round out the amenities.